I personally don’t like listening to music while working out but I know a lot of people who do it and can actually NOT work out when not listening to music. It sounds absurd to me but the truth is it has become a necessity for some. In this article, we will be taking a look at some of the best exercise or workout headphones available. Now the idea of this post came when a friend of mine reached out asking for my recommendations for an exercise or workout headphone. Me feeling grateful since I was asked aside, I decided to do this post on the best workout headphones since I wanted to also ask your opinion on the choice I listed below and your feedback on them. There are two types of headphones that pop out in mind when talking about this subject. First are bluetooth headphones and second are in-ear monitors or earphones. It overlaps a bit since an in-ear monitor can be a bluetooth earphone and vice versa. Still I decided to separate them into two categories. Let’s discuss the bluetooth headphone options first. Bluetooth headphones are kind of ideal when working out because you don’t have to worry about wires getting on your way. And as mentioned above, some in-ear monitors are bluetooth headphones so you’re getting the best of both worlds if an IEM is your preference. 1. JayBird Blue Buds X – This one comes to mind first because I have a couple of friends who had me try this and I’ve seen various writeups about this online. The JayBird Blue Buds X is actually a Bluetooth in-ear monitor and it boasts secure fit and good sound quality. It also isolates noise passively really well. If there’s a downside to it, it’s the price since it costs $140-$150 on Amazon which is definitely more expensive that some of the other options. 2. Tenqa fit in-ear monitor – This earphone is cheaper and comes with an active noise cancellation system. They are also very compact but fit and sound quality is not as good as the Blue Buds X. Still, it’s not bad for 40 bucks. 3. Sennheiser on-ear BTs – I have the old Sennheiser PX 210 BT and I think it can be used as a workout headphone too! Fit may not be as secure as in-ear monitors and it may not be as light too but the lack of cable to manage can compensate for it. 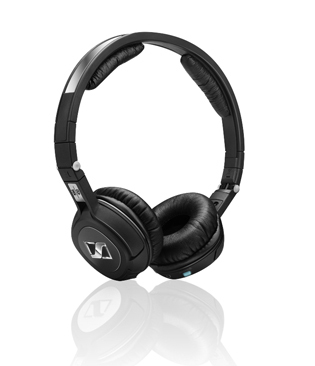 The PX 210 is already discontinued but Sennheiser has newer and better models in MM400 X, and MM450 X. Most people use in-ear monitors because they are fairly light and most of them are really built for working out with features such as sweat resistance and secure fit. 1. Monster i-Sport intensity – This earphone can fit in tremendously due to numerous amount of quality eartips available and they are very light too. The most interesting about this is it’s an open earphone which means it lets you hear some noise when wearing it. This will appear runners who want to hear whats happening around them. This is a little bit expensive at around $100 on Amazon. 2. Yurbuds Fit Sport earphones – This cheap earphone is definitely not cheap in build and features. It has a patented “twistlock” technology that ensures the perfect fit for you regardless of what you are doing. The snug fit along with a good sound quality for its price makes this earphone one of the favorites among the masses. It currently costs less than $40 on Amazon. 3. 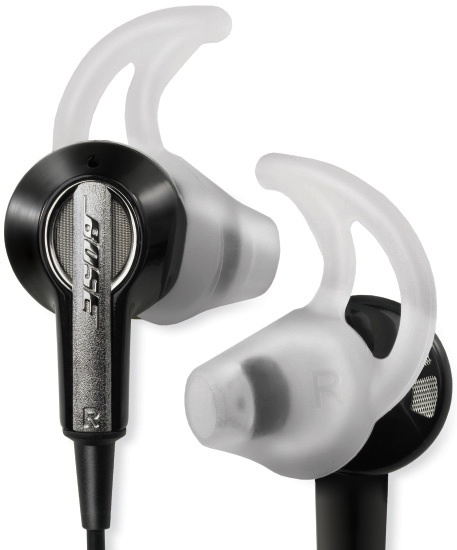 Bose IE2 – This model from Bose is the most expensive among the three however it is definitely no slouch. Build quality is top-notch and it also ensures you getting the best fit possible through various tips that you can choose from. Unlike the two earphones above, the Bose IE2 isolates you from outside noise so this earphone can be used for commuting as well. Check it out on Amazon. Those are the 6 headphones that we recommend for working out. As with everything, your mileage may vary and if you have any experience with any of those mentioned in our list, feel free to let us you know via the comment form below. Likewise, don’t hesitate to suggest us products that you think should make our list here.